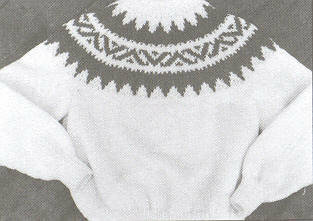 eweCanknit pattern # 072 & 073 FAIRISLE. Pullover with a Fair Isle style yoke pattern. both sizes use worsted weight yarn. OR youth sizes 8-12 [finished measurements 32-34-36 in. ].